As you approach retirement age, the priorities in your life begin to change. Your health must become a primary focus if you want to stay active and comfortable, and you may replace work-related obligations with travel. During this transitional period in your life, continuing to care for your home can become a burden. That’s where home maintenance services come in handy. 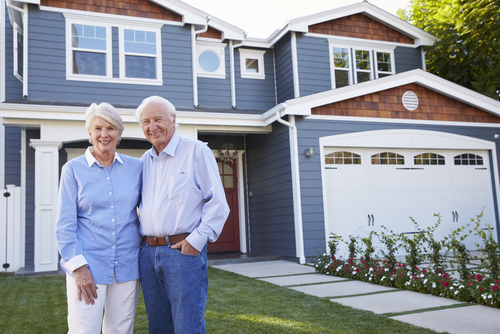 Here are four reasons why home maintenance services work well for seniors. 1. You don’t have to put your safety at risk. Climbing up on a ladder to reach the roof is risky no matter how old you are, but especially so as you grow older and your balance begins to falter. Tasks like changing a light bulb, removing a smoke detector from the ceiling, and trimming trees also have their hazards. If you are home alone, performing such tasks is even more dangerous — even if you are generally steady on your feet. Anyone can slip from a ladder. When you hire someone else to perform your home maintenance, you don’t have to worry about safety. Home care professionals are trained to do these jobs safely and with ease. 2. You can travel without neglecting your home. When you are finally free from the obligation to go to work every day, you probably want to venture out into the world and explore it. However, traveling can be difficult if you always need to be home to perform home maintenance tasks like changing the air filter and cleaning the gutters. When you hire a home maintenance service to visit your home once a month, they will make sure your home is properly cared for so you can schedule your travels as you please. If you’re having a great time in Aruba and want to stay an extra week, there’s no reason to come home just to clean the air conditioner! If you want to spend more time with family, explore a whole new career endeavor in retirement, or dedicate yourself to a long-neglected hobby, then hiring a maintenance service will leave you more time in your day to focus on those things. 4. You can stay in your home longer. Many seniors eventually reach the point where caring for a home becomes too much. At this point, many move out of their homes and into smaller apartments or the homes of family members. This move may be right for some, but if you would rather age in place, hiring a maintenance service will allow you to do just that. The difficult aspects of home ownership, like maintaining the plumbing, HVAC system, and home exterior, will be done for you. If you are an older adult looking to simplify your life and focus on what’s important, consider hiring Hassle Free Home Services. Our professionals handle the difficult tasks so you can stay safe and live life on your own terms.